Between hurricanes, blizzards, pipe bursts, and floods, property owners are bound to need water damage restoration services at one time or another. Fortunately, the highly trained technicians at 911 Restoration of Central Arkansas have the ability to give you the peace of mind you need in these situations. Their office is open 24/7/365 so you can reach out to us the moment you discover a water emergency. It doesn’t matter what time you call, the professionals in Little Rock guarantee to arrive at your home or business within 45 minutes of receiving your call, ready to begin water damage restoration services. When you find yourself in a chaotic situation it is important to be able to trust the company that you hire to administer the repair work. 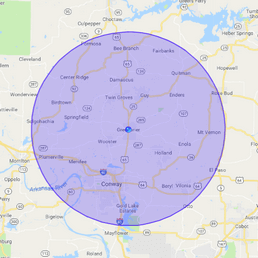 The specialists in Little Rock aim to be as transparent as possible, which is why they are IICRC-certified, licensed, bonded, and insured for your protection. 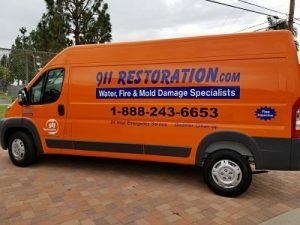 Even if you are unsure if you need water damage restoration services, you can still call 911 Restoration of Central Arkansas and their experts will provide a free visual inspection for property owners. This run-through will also let the professionals know if they also need to provide mold removal services. Call the water damage restoration team the moment you discover any sign of mold, leakage or flooding in your property and we will make this whole process as easy and positive as possible. 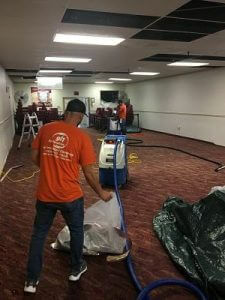 Flooding in your home or business can lead to extensive structural damage and personal property loss if the water damage restoration and mold removal are not administered in a timely manner. The longer moisture sits on the surfaces of your property, the more damage it will do to literally everything it touches. Not only that, but the increased moisture levels inside of the property can start a mold infestation within a matter of days, requiring mold removal services. To minimize the water damage and get the property restored as soon as possible, the Little Rock specialists provide emergency storm repairs, disaster restoration, water extraction, and pipe burst repairs. Now that the new year is upon us, the colder winter climate can be a potential catalyst for creating disasters. Dropping temperatures can create frozen pipes in your property. This is extremely dangerous as it can lead to pipe bursts and a flooded basement or a house flood in general. If this occurs, a property owner would need to call the team at Little Rock or Conway immediately for emergency water restoration services. 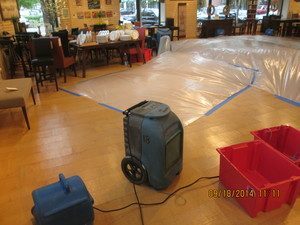 It is really important to the water damage restoration team to determine if mold removal services are also needed because mold has the ability to be just as damaging to a home or business, if not taken care of right away. Mold can literally eat away at a property and cause significant damage. 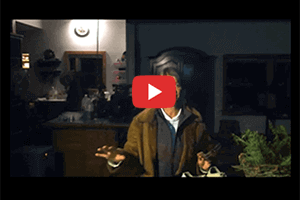 If an infestation is discovered, then we will take extra measures to test and evaluate any structural damage that may have been caused by either the mold or water damage. The team at 911 Restoration of Central Arkansas want to be sure that you are in the safest circumstances possible. So, give us a call when you need water damage restoration or mold removal and we will provide you with the care and understanding that you deserve. The technicians at 911 Restoration of Central Arkansas understand their customers’ concern when it comes to the financial aspect of these situations and they will make every effort necessary to guide you through this process. On top of our already affordable prices, we also always work with all types of insurance providers. Water damage can be expensive, especially if a large portion of your property has been affected by a flood or leak. By communicating with your insurance provider immediately after the incident has taken place, you will have the best chance of getting proper coverage. If you’ve never had to file a claim for water damage, then the Little Rock staff can go over your policy with you and communicate with your insurance provider. Standard insurance policies usually cover typical water damage restoration work, however, that isn’t always the case for mold removal services. Fortunately, 911 Restoration of Central Arkansas offers affordable rates for all of their restoration services, so give us a call today! Let us take care of your property, so that it can go back to taking care of you.